NASA Shuttle Press Kit SSME Reference (PDF). （原始内容 (PDF)存档于2012-02-04）. 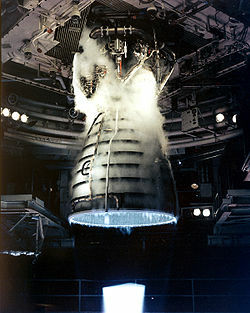 Space Shuttle Main Engine. Boeing. （原始内容存档于2007-06-03）. 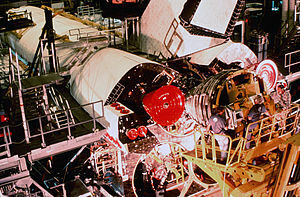 Space Shuttle Main Engine Enhancements. NASA. The Roar of Innovation. NASA. （原始内容存档于2002-11-08）. Space Shuttle Main Engine - incredible facts. Space Shuttle Main Engine The First Ten Years (PDF). （原始内容 (PDF)存档于2012-03-30）. NSTS 1988 News Reference Manual. "Boeing Liquid Propellant Rocket Systems", Rocketdyne Propulsion & Power, Pub. 573-A-100 9/99, page 26. 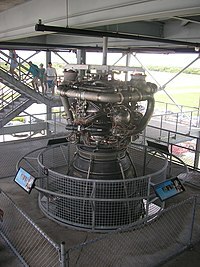 Encyclopedia Astronautix, reference SSME / RS-24. ^ Wade, Mark. SSME. Encyclopedia Astronautica. [October 27, 2011].